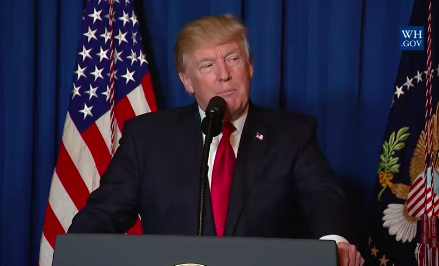 Tonight I ordered a targeted militarystrike on the airfield in Syria from where the chemical attack was launched. Itis in this vital national security interest of the United States to prevent anddeter the spread and use of deadly chemical weapons. There can be no dispute that Syria usedbanned chemical weapons violated its obligations under the chemical weaponsconvention and ignored the urging of the UN Security Council.